As a part of his work as a artist, lyricist and actor - Ben is deeply involved in citizenship. In his despair regarding the increasing victimization, immigrant hostility and denial of the Holocaust, Ben has put together a powerful show with which he tours around Sweden and the USA. With song, music, beautiful imageslides and pathos filled storytelling he enters the show to fight against evil, with Raoul Wallenbergs deed as the starting point. 100% of the shows income goes to Ben's foundation, which finances youth studytrips to Auschwitz. 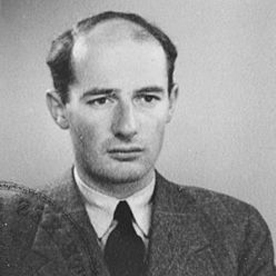 Here you will find gathered material and information about the show "Between victimization and genocide", about Raoul Wallenberg. The songs and lyrcis from the album "Our gleam of hope" is free for download. The record is also available for purchase in the discography-section.